This year, Queenscliff Music Festival teamed up with triple j Unearthed to give one lucky musician the chance to join the stellar 2018 lineup and make their festival debut… and coming out on top is indie-pop up-and-comer Libby Steel. The Western Victorian rocket has made waves in the industry, known for her unique, bold and colourful pop music. 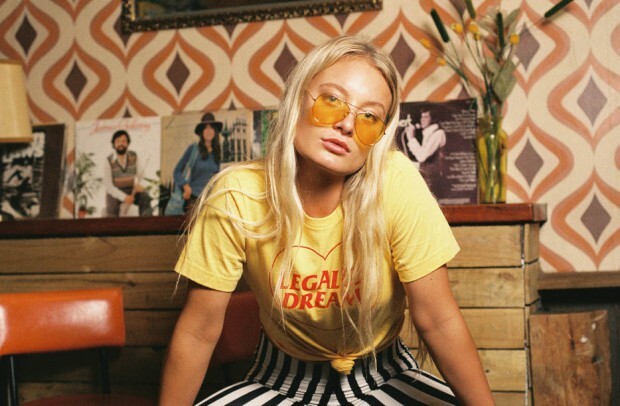 Her 2017 single ‘Bones’ captured the attention of triple j & Unearthed where she received stellar reviews from presenters praising her “big and versatile voice in a clever pop song”, claiming she’s “part Lily Allen and part Saskwatch. It’s a winning combo”. Libby Steel is weaving her way into the music scene, taking her animated, dynamic set across the country. From playing at the Australian Open, to supporting Taylor Henderson on his 2018 #Lovesomebody tour, she is bound to draw you in and leave you wanting more. Libby will be opening the festival on Friday 23rd November.